Sugar rushes tend to bring you down after a while. Too much coffee will make you lose your stamina and exhaust you. The only way to get more energy from your diet is to eat some foods which will replenish your batteries in a healthy way, without downsides. As experience has woefully taught me, coffee is not enough to keep me energized and sane all day long. If I have too much of it, which I tend to do daily, after a while, it just wears down my liver and I feel even more tired and drained. The secret lies in choosing some healthy options, a different kind of fuel for the body, which will also help your mind. This plan, a good and healthy plan, can be complicated by time constraints and availability. For instance, we don’t have any shops near our office building, so it can be hard to procure healthy snacks. These following ideas are great because they are simple and easily manageable. Add some tuna to your diet and you will get plenty of energy from it. See? This is pretty simple. You can buy a jar of honey and keep it in the fridge at work. With a nice, friendly post it to keep anyone away from it. Honey helps you in so many ways. It has some natural carbs and sugars that give you a more organic energy boost. And those sugars help regulate your blood sugar levels. So no more brutal downfall from a sugar high! Athletes in ancient times used honey to enhance their performance, so you know this is legit! It also helps wake you up and heals the tissues in your body. All types of citrus fruits are rich in vitamin C, but because lemon isn’t exactly snackable, let’s stick with oranges. Vitamin C actually wakes up your cells and help keep you focused throughout the day. The result? More energy for everything! Keep one or two in your bag or in your drawer at work, for instant benefits and sweetness. Not to mention that it’s a great snack for hard, craving times. 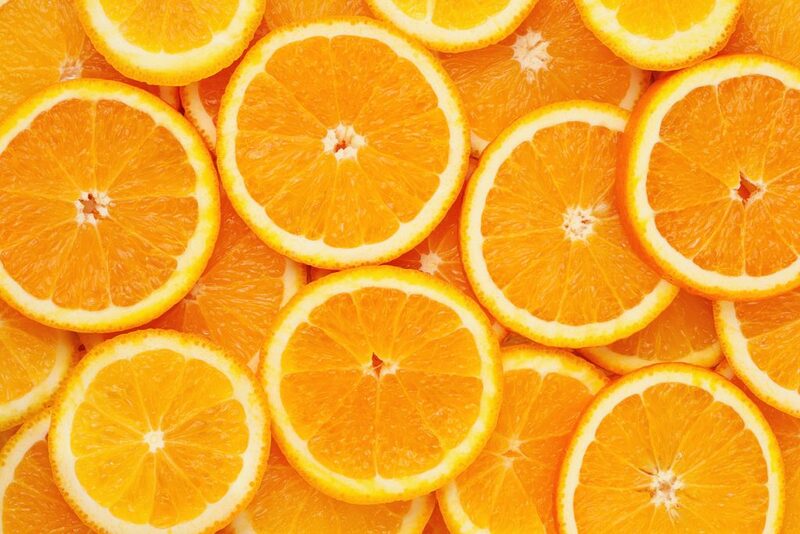 Oranges are also rich in potassium and folate, which means that they help your body release energy gradually throughout the day and don’t let you burn out quickly. The fruit’s membranes are also rich in pectin and fiber, which help out with your digestion. This means that you won’t feel as heavy after a serious meal. Vitamin C actually wakes up your cells and help keep you focused throughout the day. They aren’t the most famous breakfast for nothing! Eggs are very high in protein, which leads to great energy levels. That’s why they’re recommended to people who go to the gym and need to stay on that treadmill for their whole workout. 97 percent of that protein can be absorbed by your body, and trust me, that’s a high ratio! Eggs also provide 30 percent of the recommended daily value of protein, so have them for breakfast or lunch. They are composed mostly of natural sugars like glucose, fructose, and sucrose, which give you that energy boost you need without bringing you down immediately. Not to mention the high quantity of fibers found in that yellow happy fruit. Have them for breakfast because they’re gentle on your empty stomach. Mix them up with cereal, peanut butter, or throw it on top of your oats and you’ll be having a good energy day! 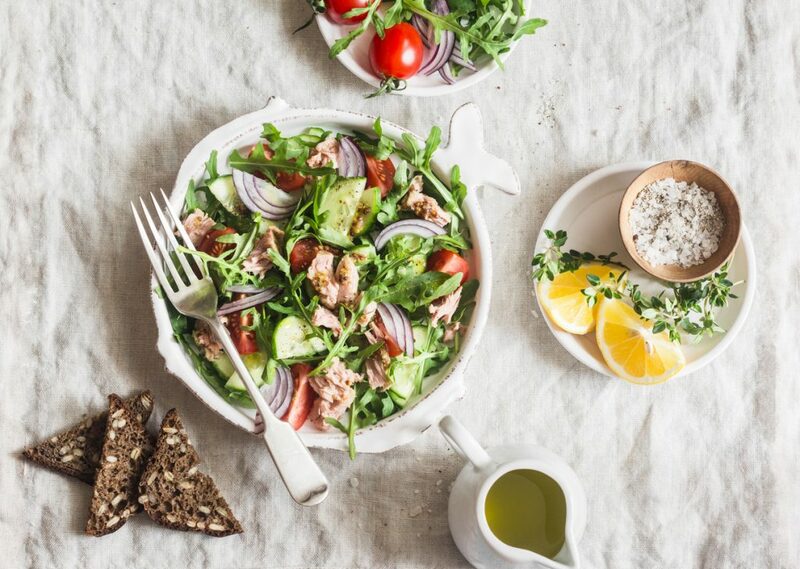 A good piece of tuna is so loaded with vitamin B12 and iron, that it will make your daily stamina way higher. A lot of professional athletes have it in their diet – and they know a thing or two about endurance and effort. The energy from the vitamins is long-lasting, while your heart is in better condition thanks to the omega-3 fatty acids. Components found in tuna also improve your metabolism, which ensures you won’t feel fatigued after a meal. If you are feeling constantly fatigued, you might have an iron deficiency, because your body tissues aren’t getting as much oxygen as they need. And once you solve that, you can get back to better energy levels. Tuna is rich in iron, as mentioned above, but as we know spinach is also very rich in the mineral. 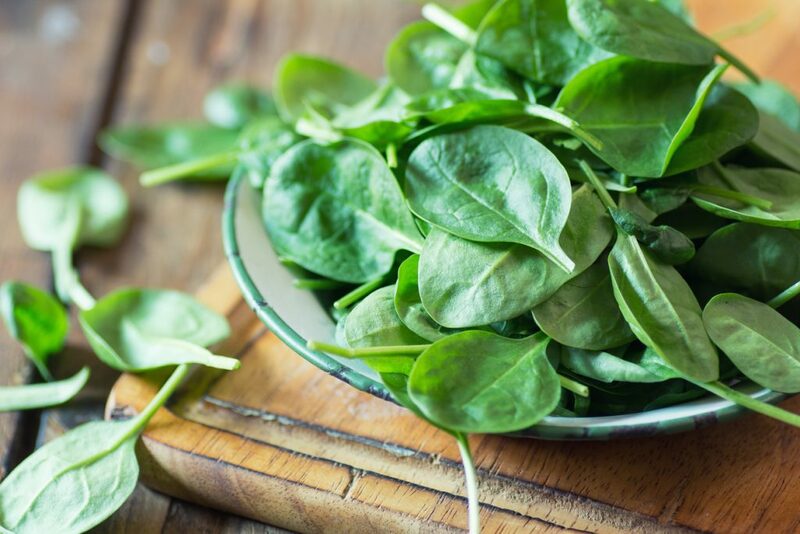 One cup of boiled and drained spinach has plenty of iron for your daily needs of more energy overall. Or you could do what I do, have it fresh, in awesome salads! The iron in spinach help oxygenate your blood cells, which relieves fatigue.